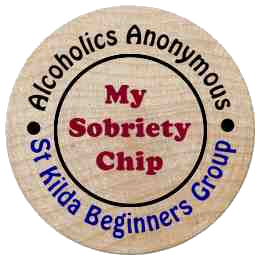 Our group gives out ‘Sobriety Chips’ to celebrate milestones in AA member’s recovery. 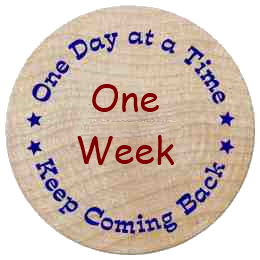 Our custom made chips are unique and we share them to celebrate AA ‘Birthdays’ (one or more years of continuous sobriety) as well as 9 months, 6 months, 3 months, 2 months, 1 month or one week of sobriety. Newcomers at their first meeting are encourage to take a newcomers chip. If you visit our group from interstate or overseas, let us know and we’ll let you have a chip – even if it’s not your anniversary.